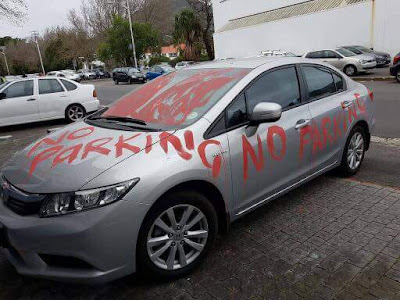 The car was seen at Hatfield Street, Cape Town, South Africa. 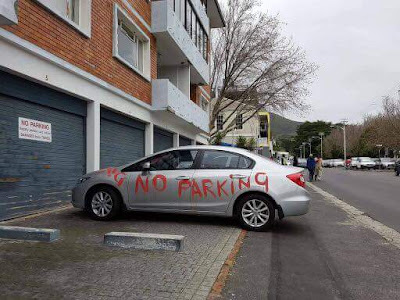 Isn't this criminal damage? Or maybe whatever was used can be easily washed off.